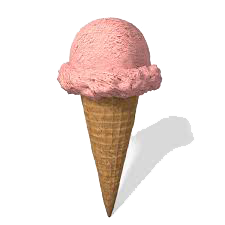 "I would like to add a note that the April meeting is the ice cream social, no program but some ice cream and a chance to socialize with fellow members. Remember to bring tops, as there will be a top spin off. Be sure some of the tops can be donated to the children's hospital. If you have an interesting project/tool/jig/fixture be sure to bring and share it with other members - all show - no tell. 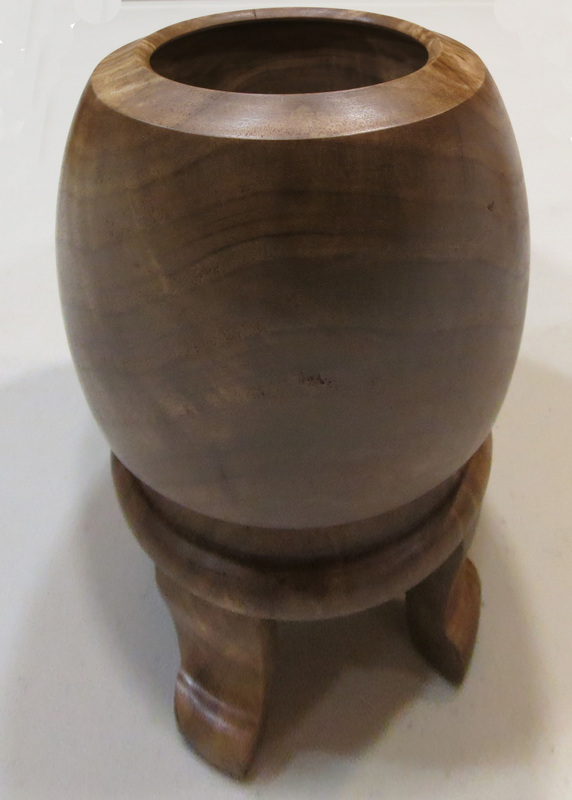 There is a way to add interest to the bottom of a turned piece by creating feet. The outline of the feet is done by turning an outside profile. Create a bead between the body of the piece and the lower footed area. Then turn the inside of the footed area, similar to the inside of a bowl. Finally the feet are freed by cutting away unwanted material. The demonstration was held in the SVW shop at the Santa Clara High School. Derek surprised us by asking what animal we wanted to make. Among local choices, the bobcat was chosen. For those doubters among us, it seemed an impossible task. Starting with a block of wet Maple, Derek shaped the bobcat. Constantly remounting the piece, turning away some wood and remounting again, the piece took shape. Visualizing where to cut and how to mount to make that cut was an art. Each mounting was a nerve wracking experience because of concern that the piece would become air borne. But, it did not. Derek was particularly carefull in placement and locking of the headstock and tailstock. See demonstration photos here. 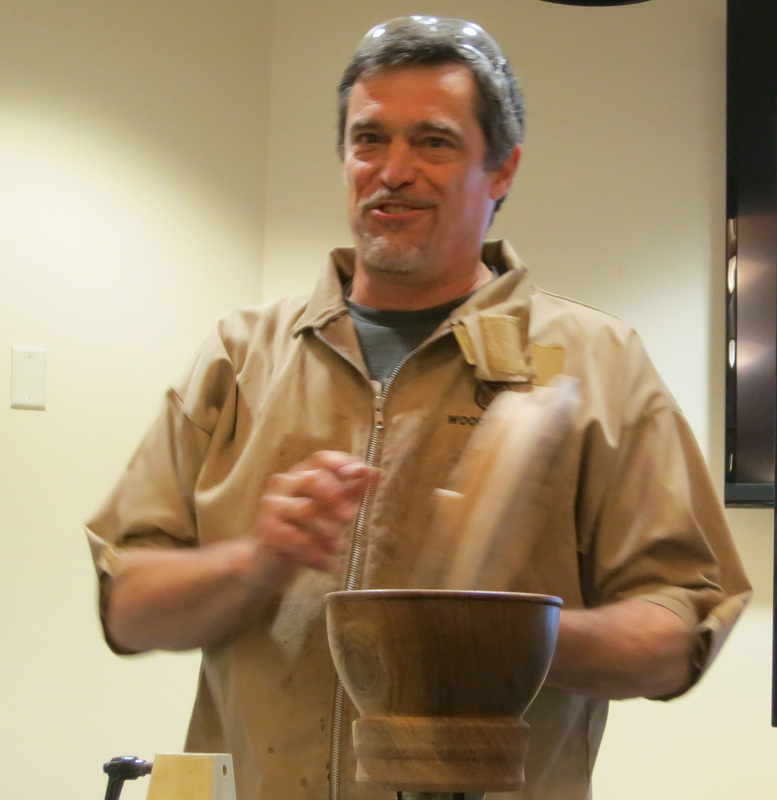 Recently a few of us attended the Oregon Woodturning Symposium. It is a small, but growing, symposium with some quality demonstrators. The wood selection was a little smaller, or so I was told, than two years ago. But that was good for me. 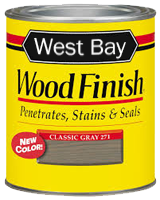 I really don't need more wood, but seldom can turn the opportunity down. A number of WBW/SVW/BAWA members were in attendance. I was personally looking forward to seeing Binh Pho. I've admired his technical skills, but not had the opportunity to see him demonstrate. I was not disappointed, and am jazzed about trying so airbrushing and piercing. I picked up his 2 DVD's for the WBW library. So check them out! While I had not really planned it, looking back, you would have to say I was very focused on embellishment. I sat through a couple of sessions with Dixie Biggs watching some cool surface embellishments and carving a couple of leaves on a practice piece. Oh boy, more tools to buy! She made it look so easy, but I'm sure it is her experience that did that. In any case, got to give it a try. Christian Burchard did a session on turning a sphere and a session on his madrone baskets. Very entertaining, although he scared me a little with some of his "safety practices". Got to find some wet madrone and try a basket. He turns wet madrone to finish thickness and watches it move. Makes for some interesting forms. Michael Blankenship lost his eye sight about 13 years ago. He took up turning after that. It was impressive to see him turn completely through feel. He kept the audience entertained. There were a number of outstanding demonstrators that I just didn't have time to fit into the schedule. This was their second symposium and they intend to do it every other year. So keep it in mind for 2019! We will explore a number of possible day long demo's for our SVW/WBW demos, with conversations started with a few of them. Most book out about a year, so we probably won't see them here till next year. I will end this with a plug for the symposiums. They are a great way to immerse yourself for a couple of days and see examples of skills you probably have asked yourself "I wonder how they do that?" Our local day long demos are a great buy, but of course limited to one topic each time. The AAW national symposium will be in Portland in 2018. Probably about as close as it is going to get for the foreseeable future. I would encourage everyone from beginner to professional to plan to attend. Looks like I will be visiting Oregon the next two years! We are fortunate to have Bob Bley hosting sawdust sessions at his shop on certain Wednesday evenings. 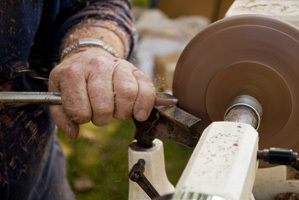 These sessions are an informal way of discussing and learning about anything having to do with wood turning. Try it, you'll like it! Watch for notifications from Bob about when a session will be. As testament to the worthiness of these sessions, the following is a note from Roman, thanking Bob for hosting the last session. I would like to thank you, Claude and Patrick as well as other participants for the great saw dust sessions! The sessions are very helpful. They are full of condense knowledge and provide so many ways to share experience. Certain things can't be learned from books or youtube videos but only from working together in person. Even little things like keeping a binder clip on a band saw blade as indicator of the blade tension or how to organize the sharpening jigs are very helpful tips. And making a bowl from the log in an hour is just impressive! Thank you so much for organizing the sessions! Feel free to forward this thank-you-letter if appropriate.